Becoming Psychic Magazine Halloween Special. 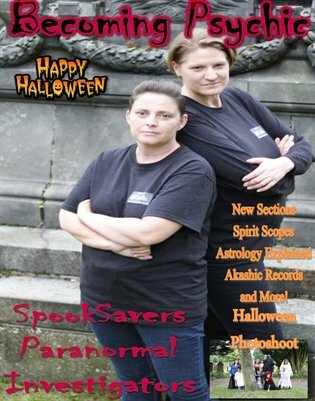 With a full interview with SpooSavers londons leading paranormal team, and the Halloween Magazine shoot with Fearlesskent photography. Halloween recipes and lots more inside, this is one not to miss.